The U.C. Davis butterfly expert says the four-year drought has caused some butterfly species to vanish; others show a remarkable ability to hang on. Art Shapiro studied entomology and biology after developing a childhood fascination with butterflies. Now a professor of evolution and ecology at the University of California, Davis, he is considered one of the world’s leading experts on butterflies. For over 34 years, Shapiro has amassed data from sites spanning the width of California, which have provided information about not only butterfly populations but their surrounding environment as well. These beautiful, ethereal insects offer excellent insight into the effects long-term drought and climate change have on our natural environment in California. Butterflies demonstrate a surprising resilience and adaptability, which one can only hope translates to other flora and fauna, including people, as we adjust to a different world where climate change affects our water supply. Water Deeply: Are any butterfly species in jeopardy because of this prolonged drought? Shapiro: We have lost some things from here in the Central Valley, and we don’t really understand why. Most conspicuous of them is a butterfly called the large marble. It’s a white butterfly with green mottling on the underside that has completely disappeared from this part of California. Another one is the common sooty wing, which is a small black butterfly with white dots. It’s extinct from entire counties. Their food is still abundant here, but they are not. Butterflies are very sophisticated at regulating their body temperatures. Most butterflies are so-called cold-blooded, but they have various adaptations such as pigmentation and fur on the body that enables them to make use of incoming solar radiation. But they do require nectar nutrition water, or water through nectar, so if nectar becomes rare, it will adversely affect butterflies. It will kill them. They do drink water. They visit mud puddles, and if there aren’t any mud puddles they will die. Many male butterflies of various species collect mineral salts from mud puddles that are essential for various purposes, especially reproduction. Water Deeply: What kinds of butterfly habitat have been impacted by the drought? Shapiro: In the mountains it would presumably be catastrophic. Down here in the valley, we have an interesting situation because the butterfly fauna near sea level here in California are insulated from drought effects to a remarkable degree. We have a set of species that breed on riparian trees like ash, cottonwood, willow and valley oak. It takes very extreme drought conditions for those trees to begin dying. So the set of species dependent on those trees are not going to be adversely impacted by drought and they’re doing just fine. Water Deeply: There’s something about butterflies that is mesmerizing to many people. Can you explain that? Shapiro: I don’t know why people like butterflies, but I know people do. It’s very rare to encounter a person that dislikes butterflies. It seems to be cross-cultural. Indigenous people all over the world take butterflies very seriously. They are exceedingly useful for those who are promoting conservation, because they’re charismatic. It’s a lot easier to get people interested in conservation using butterflies than it would be with cockroaches or dung beetles. Water Deeply: How did you begin studying butterflies? Art Shapiro: I started when I was around 10 or 11, so I’ve been on the same track for a very long time. I started collecting as a kid and I don’t do much collecting anymore aside from data. I’m not particularly interested in obtaining specimens per se; most of what I do nowadays is data collection rather than putting bugs on pins. We’ve got 43 seasons’ worth of data. We have one of the two largest butterfly data sets in the world. The other one is in Britain and somewhat differently organized, but started around the same time, so in a sense they are complementary. Water Deeply: What are your collection sites? Why did you choose these places? Shapiro: They were chosen for a variety of reasons. One, I wanted places with a good diversity of vegetation and butterfly species. I deliberately picked places that I saw providing the maximum amount of data. I wanted places that were readily accessible. I didn’t want to be on private, fenced-in property. I wanted places that were unlikely to undergo radical change. I didn’t want a place that was likely to turn into a McDonald’s in five years, so many but not all of my sites are on public land where access is available and development is restricted or prevented. We have a transect of 10 sites along the Interstate 80 corridor from sea level up over the top of the Sierras. We have one station on the east side. And my sites are sampled at approximately two-week intervals throughout the butterfly season. So we record what is flying at some but not all of the sites, and attempt to estimate the population sizes. These are only estimates, not rigorous census. Water Deeply: Collecting over such a long period of time, what trends are you seeing? Shapiro: Well, I’m tempted to say, How many hours do you have available? We are in the fourth year of drought, and the data set is up to date. I was in the field today. But one does not want to begin analyzing data prematurely. In order to get the maximum statistical significance, one should be very careful about what one does with the data and when. So we don’t have any product from the project yet, but we are accumulating data towards that end. I can give you some subjective broad quality of assessments of what is happening, but we have not done the rigorous statistics to be able to back many of them up. Water Deeply: How are drought and climate change affecting the butterfly population? Shapiro: In a nutshell, it would appear that the drought is having major impacts in the Sierra Nevada, particularly at the higher elevations. The impacts are much less obvious at low elevations, and some of them may even be positive. 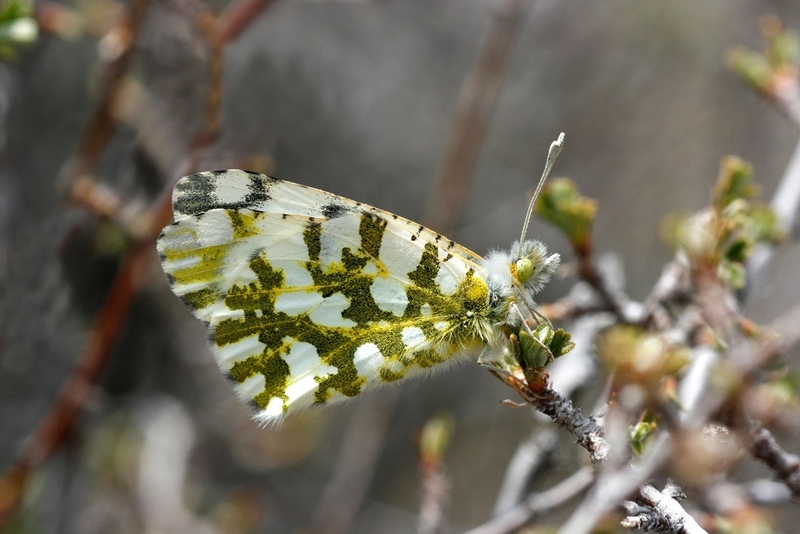 At higher elevation, snowpack is extremely important to butterflies for a variety of reasons. Butterflies overwinter in various life stages here. In the high mountains, overwintering usually involves being underneath snowpack. So you’re at ground level and you have X number of feet of snow on top of you. It may seem a harsh situation, but it’s actually a godsend. The snow acts as an insulating blanket. It actually keeps the things at ground level right around freezing and insulates them from extreme cold and also from desiccation. Snow is a good insulator, and the odds of survival are better under a few feet of snow than if you’re exposed to the elements of the surface. Historically, years with a good, deep snowpack are excellent butterfly years in the high country. Years with a very light snowpack and very early meltdown expose those things to the elements and produce a lot more mortality. So, typically, a year like this is going to be a bad year for butterflies. In the mountains we see things moving uphill. Oftentimes the dispersal ability of butterflies exceeds the dispersal capabilities of its host plants. Although the butterflies can move uphill, they often find the plants they eat are not there yet. So it will take decades of climate change for the plants to move up slope so the butterflies can follow. Water Deeply: What about the butterflies at lower elevations that seem to be thriving? Shapiro: My take on this … should be taken as a working hypothesis. Cold dry winters with essentially a high desert climate where you get hard freezes at night and warm sunny afternoons and very little fog are good for butterflies at this elevation. We do know that warm and wet winters on the floor of the Central Valley typically are really bad for butterflies. We think the reason is that in warm, wet winters near the soil level, the humidity is at saturation level all the time. This is an ideal culture medium for bacteria and fungi, which are essentially pathogens for overwintering butterflies. You get a warm, wet, foggy winter, and you get poor overwinter survival because bacteria and fungi are taking a big toll. Water Deeply: How is human population growth affecting butterfly species? Shapiro: The things that breed on herbaceous vegetation have largely switched over from their native host plants onto more or less introduced weeds. We have done a lot of butterflies a great favor by replacing the native vegetation with these abundant weeds. We believe they are much more widespread now than before Europeans colonized California and transformed the vegetation. These introduced plants are dependent on water supplied by irrigation. They live on water supplied by human beings, and as long as there’s enough water to sustain weeds, those butterflies are doing just fine, too. These weeds are growing with landscaping. They’re growing in drainage ditches along roadsides, weedy areas on ranches, and around corrals. Given the scarcity of water now, a lot of ranchers are practicing a lot cleaner cultivation than they normally would to prevent water waste by weeds. That is having an adverse impact on butterflies who use the weeds. So we in fact are seeing some things that use weedy plants decline because there is less water available for them. Water Deeply: How can drought and climate change affect the evolution of a species over the long term? Shapiro: I’m sure we will lose some things. We will particularly lose things that are at the tops of mountains now, because when it gets too warm there, there’s nowhere to go. The more specialized you are, probably the less genetic variation is available to allow you to adapt. So it helps to be relatively generalized, because that means you’re going to be relatively adaptable. We know enough about the history of climate change to know that the species we have now have made it through a hell of a lot of dramatic ups and downs. Presumably they’ve done it before, and most of them will be able to do it again. 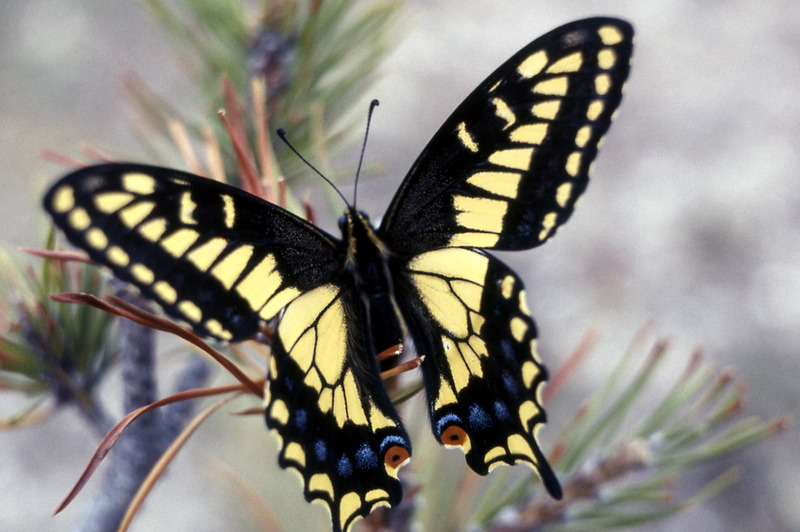 We have populations of the same taxonomic species living in radically different environments, and my favorite example is the anise swallowtail. They feed on plants in the carrot family and the populations near sea level today have several generations a year and breed almost entirely on introduced weeds, particularly sweet fennel, which in California is called anise. But the same taxonomic species occurs on serpentine rock in the coast range. They feed on native plants in the carrot family that are only available for about six to eight weeks in the spring, so they can only have one generation a year. So their physiology is extremely different from the ones eating weeds maybe only a few miles away, and those differences are genetically determined. So we know many butterflies are capable of creating ecotypes (a version of itself adapted for different habitat). They have already done so, and we can expect that to be an ongoing process. If things aren’t driven too rapidly to extinction, under natural selection they can adapt to climate change. Water Deeply: What does your research on butterflies and climate change teach us about effects on other species? Shapiro: There is no rule of thumb to translate the response from one organism to another. Every case is potentially unique. The more different kinds of organisms are studied, the better our understanding because — and I want to emphasize this — species move in response to climate change, communities don’t. Communities are abstractions that we create. Communities are made up of species populations, which are associated to different degrees and in different ways. And we know from the paleo record, sometimes in incredible detail, that individual species that we think of as part of a community may move at very different rates and may react very differently to climate change. The way I like to describe it is that the communities that we recognize today are individual freeze frames in a very long movie. How much of the movie can you re-create from seeing one frame? You couldn’t reconstruct the whole plot, could you? If we look at nature today, we are looking at what exists now, and it’s different from what existed 500 years ago or 1,000 years ago or 15,000 years ago. We have evidence of what existed back then, a variety of kinds of data that enable us to reconstruct community history, and what it tells us is that vegetation in a setting of changing climate is a movie. The set of species that are associated reflects the individualistic response of species at any given time. That means it’s not just a simple matter of the existing life zones in the Sierra just moving uphill. The individual species making up the communities along that altitude are going to react individually to climate change. We may get very different associations of species in 250 years than we have now. Water Deeply: How can people help butterflies, both during the drought and generally? Shapiro: I’ve been giving talks to garden clubs and master gardeners all summer. The idea is we are fragmenting butterfly habitat — we are introducing butterfly-unfriendly terrain between friendly habitat corridors, which makes it that much more difficult for dispersing butterflies to find the resources they need. By gardening intelligently and providing corridors of useful resources, particularly nectar sources, we are helping butterflies navigate their way across butterfly-hostile human environments to find the resources they need to breed. We live in a sea of dispersing butterflies, but we only notice them if there are plants there that retain them and cause them to hang around. Many of the best plants for this are non-native. The native plant folks freak out when I tell them this. Renee Cashmere is a freelance writer based in Sacramento. She has also worked as a facilitator and educator in the natural resources field. Contact her at reneecashmere@gmail.com or on Twitter @ReneeCashmere. Renee Cashmere is a freelance writer based in Sacramento. She has also worked as a facilitator and educator in the natural resources field.